I've had an epiphany. Project Vishnu. This project will help to ensure mankind's freedom and eliminate all need politicians. It has the capability to end all wars and to bring war peace. I'm not kidding. I need your help, creativity, and ideas to pull this one into reality, but it may only need fine-tuning. The technology that we already have can be linked together in a way that makes Project Vishnu a real thing. We will need a blockchain such as steem, a website, pgp encryption, and biometric scanners. Anyone can register, but they can only register once. Their biometric information such as a fingerprint will help to ensure that only one person can register. We will not need to count on the government to vet each registration because either you have your own fingerprint or you do not. This means that even if you're on an arbritrary restriction to vote, you get to bypass it. The three ways to authenticate will be used. What you have (cell phone), what you are (biometric), and what you know (password) will all three be used to authenticate. The reason for this security is because we now need never fear that some mischief is going on at the polling place. We can vote in real time for anything. Due to the blockchain, we can be certain that only one vote per person is given. But here is the cool part. We create a website that allows for everyone to crowd source real political ideas and solutions. You want to build a capitalistic society? Go for it. Share your ideas for this community. Let other people vote on those ideas or change them out for better ideas. Each idea will require the author to explain why the idea is good, and how it is potentially harmful. You don't believe capitalism is good and would rather have a socialist utopia? Go for it. Start your own utopia tree of thoughts. Maybe in one region, your socialist experiment can be tried and in another region, a capitalist experiment can be tried. Maybe what we end up with will be neither capitalist or socialist. Who knows how we will grow? The most important idea is: You become the government. We won't need elections, politicians, etc. We will need ideas. No longer will we think that "Russia wants to go to war with us" because we will actually be communicating with Russians instead of their government. No longer will we have cartels because they won't need to exist without a government to fight them. 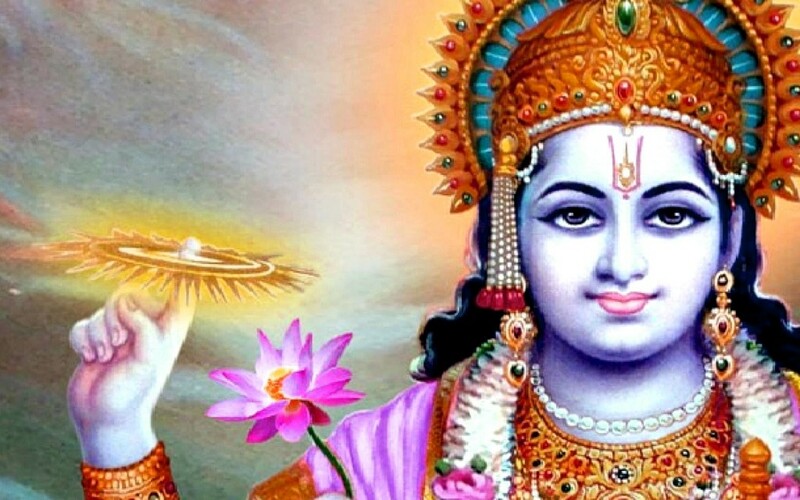 I believe that Project Vishnu will change our world. Please start using the tag ProjVishnu so that we can keep our ideas together. Compete with my ideas here. Let's change the world! This is a great idea, now all we need is to start making it happen. I am far less techy than you are. How do we start? ^^great question! I am working on the tech end and want for everyone good at tech to hit me up on this. That is brilliant to put it simply. These ideas could truly change things for the positive. Instead of many smaller and terrible governments we will have one big terrible government called "Project Vishnu"? If we replace many government with this kind of project, after while we will ask - why we shouldn't connect this project with some kind of police to realize in real life our (voted) decisions? The point in the Anarchy (including the best one - Anarcho-capitalism) is to make impossible for anyone to control with violence another member/members of society. By violence I mean also - by democracy/voting. "Project Vishnu" (why this religious name - I am - for instance - an agnostic and I don't like it.) is truly anty-anarchist idea. It's a utopian vision of blockchain but instead of wanting to mass adopt it and force everybody to work within one global mainframe, why not just have lots of different forms of blockchain utopian-political independence movements and see which ones work best, and once all the bugs and cranks have been worked out it will be much clearer what kind of global system mankind really needs for the Age of Aquarius. Capitalism no matter how one slices is is on the way out but we cant really see yet what kind of system that dignifies and empowers consciousness will replace it to a truly satisfactory end. Unfortunately it wasn't able to address problems such as resource depletion and wastefulness. But that's okay. New systems that will be able to address these problems that are not "free market" will pop up and provide much more intelligent answers to these complex problems. Ultimately I think capitalism was a tremendous success, but it cannot take us into the new age any more than ancient Daoist philosophy or Islam can tell us how to conduct agriculture in 2018. It can inform us and tell us what are the next stepa however. What ever system we come up with should have the "feeling" of anarcho capitalism. In that we can all organize how we see fit and use our time and resources as productively as possible. It won't really be anarcho or capitalist, it'll be even better. We'll have even more freedom and more rewards, so who can complain? No, of course not. The idea is to decentralize the power of the government to each individual. Open source government. As for the name of the project, I myself am an atheist. The name simply refers to qualities of the myth. Why do we even want a gouvernment (yes it actually means controlling the mind; gubernare mente) Biometric ID is a prisson, security is a argument for authority. And the meaning behind the name if thats why you chose it, goes very much agians the entier concept you describe. "In Vaishnavism, Vishnu is identical to the formless metaphysical concept called Brahman" MEaning not focused in physicality, but rather a realisation fo the none physical self. That is to connect you more towards nature as opose to a blockchain. This is reinventing the wheel to me. Listen to Max Igan's podcasts insted. Maybe even learn the alegorical meanings behind the religious storys. “What if we fast forward ten years where decentralization has been mass adopted from currencies to the way in which our government works. In a present world where it seems fiat money controls far too many aspects of society and our voices and opinions are consistently disregarded. I know you've seen the netlflix series black mirror where it imagines our progression into the future with the incredible acceleration of technology. That technology is block chain the advancements it could provide are endless. This technology can be instrumental in advancing our country into the future along with the rest of the world. No longer can big companies destroy earth for monetary gain or exploit poor individuals for capital gain. if we leave it up to the ones in charge we'll be in made up war after made up war until we completely destroy ourselves or our planet. Our society should be far more advanced then it is, technology is amazing and in a future world full of free thinkers unconfined by menial tasks and worries of finances we could imagine and create inconceivable things. It doesn't have to be the work of fiction it could be reality. to reach such immense gains we would transition to a voting system to pass all legislation. From local to state to country and eventually the world. Block chain would guarantee every one has the same voice. There would be unbiased data presented to the voter through analytical tools allowing the individual to be as informed as possible without the ability to be inundated with deceitful advertisements or paid figureheads. The data would be just that data produced by super computers and distributed through un-hackable block chain technology. Our society is a lot more advanced and intelligent then is reflected by policy and worldwide decisions. We really need to let go of the age old way of warfare and destruction. Unfortunately when great minds such as Einstein and Galston envision concepts that can greatly propel society the greedy ideas that appear in individuals who don't value the existence of others they manipulate it to work in deadly ways. What could be used to advance us is morphed to find new ways to destroy and to do it more efficiently. With the free exchange of information and the ability of social media to significantly shrink the world we are at the most opportune time to transform our future to one that will benefit us. We have a powerful tool to change the course of history and it's due time. I leave off with a quote, "to change things don't try to fight the existing reality, build a new model that makes the old model obsolete"
Definitely on board with this idea. Blockchain has limitless possibilities. Want to be apart of this movement for sure! I too have been receiving all kinds of "epiphanies" about the potential applications of blockchain and structuring of a new form of global society. We're stepping outside of the box, ordinary people, and seeing a whole new world emerging all around us. It's super exciting and I think we need to try and test all of these ideas out asap! Manley P Hall was talking about just this kind of an idea (a kind of global project vishnu for humanity) back in the 80s. You'd be surprised to see that all of these ideas have been floating around for quite some time; the only difference is it would have been impossible to propose an elegant solution for their implementation through this brand new technology we call blockchain. I truly believe this idea of a project vishnu makes perfect sense and I too see it as being unavoidable. We will have to mass-adopt a global intelligent system that can handle the solving of all our current problems. The only question is in what form, on what scale, what time-frame, what kind of consensus mechanism. All of these, as your great post pointed out: incredible vital questions to which in my view there is as of yet no final answer: yet we all (at least those of us who care about humanity and our fellow man) not only begin to ponder these questions but actively start experimenting with their implementation. Whatever scale or group of human beings we can gather together and get to push for these kinds of projects has to be done... There's a clock ticking and the early birds will get the worms! It's off to the races with mankind and I can't wait to see what kind of projects start rolling out, how people are able to contribute and participate, and what kind of actual improvements we can make in everybody's lives. Have been following for a while and I would most certainly like to delve deeper into the topic with you! definitely put in your voice on how to make it so that anyone can register but only once. the cleanest method i could come up with was biometrics. I like your idea, i think it's an utopia but it's cool.... now all we need is to start making it happen. I am far less techy than you are. How do we start? by sharing with me how in the hell you made your bot script? that's impressive. You got a 99.01% upvote from @lrd courtesy of @iamthenerd! I have been thinking the same kind of one user per person verification should be used in a Steemit 2.0 interface that only allows people verified in this way to be visible, or deeper, a STEEM 2.0 that starts this way from the beginning. Why ar eyou reinventing the wheel ? Yes, we need solutions. This is about all I think about is how to fix the mess we're in. Education is the only answer because without a greater degree of solidarity, we're in a lot of trouble. Ever hear of GreenGeeks.com I just recently switched to them as a website host. Very fast servers and you get unlimited websites. Price is good and with unlimited sites included all you need to pay for to start another site is to pay for the domain and privacy. I don't know if that helps but .. I wish there was a way to link (network) all the websites out there that are telling the truth into some kind of online mall. Thank you and keep thinking of solutions. I'm always ready to brainstorm solutions with anyone.